The full report (over 200 pages) describes, in detail, the structure of authority, reporting, training and regulation at Penn State, and considers the culture of the campus. It concludes with 120 specific recommendations for change. Just a few deal with strengthening the background checks — the can only uncover those likely offenders who have already been caught before. Freeh and his committee are wise to focus their recommendations in two other directions: steps to strengthen a culture of responsibility (legal and ethical) about reporting and responding to any type of abuse when it does happen, and steps to assure that the reports are handled properly. The recommendations, in essence, create a structure that takes the place of the empathy that Freeh found missing. The Clery Act provisions, which had not been fully implemented at Penn State in the 20 years since it was passed, require a wide range of student affairs, residential life, student club advisers, coaches and counselors to report potential incidents of abuse. Freeh suggests that they be provided training in their orientation, and that the training be repeated to keep the information fresh and to the forefront. Why structure instead of culture? It’s tempting to think that Freeh’s recommendations describe a detailed structure simply because it’s specific and verifiable by the recommended outside reviewer, and that’s true. Consciously or not, though, Freeh recognizes the reality of organizational culture. 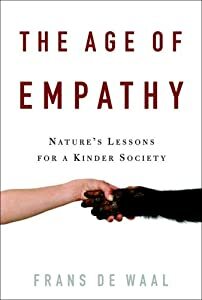 As Franz de Waal’s recent research with primates (if you haven’t read The Age of Empathy: Nature’s Lessons for a Kinder Society I encourage you to pick it up! ), primates seem to be hard wired for empathic responses, but not equally with everyone. Our innate human tendencies are to have ready and deep empathy for those with whom we have affiliation: our families, our work groups, our friends. We have care and concern, even some empathy, for strangers — but it is attenuated. In de Waal’s studies, many primates who showed a lot of willingness to help another of their kind with a task when they could see each other would not lift a finger when they couldn’t see the other one directly – just through a peep hole – even though the other would call out. The empathic urge was diminished by the invisibility of the one who needed help. In cases of abuse, the victims are usually strangers to the supervisors and administrators; they may even be anonymous. If de Waal’s research carries over to humans, this would attenuate the natural, hard-wired empathy for them. The care to treat Coach Sandusky “humanely” while not thinking of the victims is predictable. Humans have the power to sort out facts, to apply principles and shape their actions. We are not the same as animals – but our souls are embodied, not free floating spirits. We repeatedly experience taking actions for reasons we don’t fully understand, having feelings or reactions that aren’t completely logical, doing things we have sworn not to do – we may be regretting them even as we are doing them and yet can’t stop. Most people are good most of the time: but that is not enough. The structures that Freeh’s report recommends — training, checks on training, refresher training, reports on the training, reports on the problems — are like guard rails on the highway or banks on the curves: they tilt the surface of our life just a bit so that the action we have agreed is right is easier to do and more clearly in focus. The possibility of doing nothing, of ignoring the problem, of actively covering it up becomes an action, something that a person has to choose to do. The Freeh report, in my view, takes the right approach. Louis Freeh discusses Penn State’s culture, which places the Athletics Department on an island, free from the encumbrances of the rest of the bureaucracy. But he doesn’t suggest that trying to shift the campus culture – with all the unintended consequences that would result. The structural changes, if implemented, will ripple through the culture, and it will change in ways that preserve its strengths but reduce the risk of harm. The news this week includes the report that more than half of the Bishops’ conferences around the world (excluding Africa) responded on time to the May deadline to submit child-abuse protection policies. I am glad for the progress. I wish the Church had a Louis Freeh to help create structures that could counteract the natural – but wrongly prioritized – empathy that so often delays or derails an effective response to victims’ complaints.